The SkyView system integrates support for the Vertical Power VP-X Pro and VP-X Sport electronic circuit breaker systems. The VP-X system enables pilots to monitor and control their electrical system using a SkyView display. The VP-X information appears as a window along with the SkyView Engine Monitor, Primary Flight Display and GPS Moving Map. Pilots can monitor the health of their electrical system, view and control the status of individual circuits, and respond to circuit faults using the SkyView display. 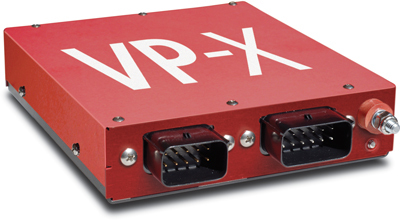 Pricing: The software license for the VP-X support application is $275 from Dynon.